Rosella Hightower liked to say of her student Jean-Christophe Maillot, that his life was just a union of opposites. In fact, for the current Choreographer-Director of the Ballets de Monte-Carlo, dance combines with theatre, enters the ring under a big top, evolves into the arena of visual arts, is fuelled by the most diverse scores and explores different forms of literature... His repertoire of 80 ballets (35 created in Monaco) draws from the world of art in the broadest sense and each ballet is a sketch book which feeds the following work. Thus, over 30 years, Jean-Christophe Maillot has created an ensemble of sixty pieces ranging from great narrative ballets to shorter formats, and where multiple connections reflect a work which forms part of the history and diversity. Neither classical nor contemporary, not even between the two, Jean-Christophe Maillot refuses to adhere to one style and designs dance like a dialogue where tradition on pointes and the avant-garde are no longer mutually exclusive. Born in 1960, Jean-Christophe Maillot studied dance and piano at the Conservatoire National de Région de Tours, before joining the Rosella Hightower International School of Dance in Cannes until winning the Prix de Lausanne in 1977. He was then hired by John Neumeier at the Hamburg Ballet, where he danced in principal roles as a soloist for five years. An accident brought his dancing career to an abrupt end. In 1983, he was appointed choreographer and director of the Ballet du Grand Théâtre de Tours, which later became a National Centre of Choreography. He created around twenty ballets for this company and in 1985, founded the Dance Festival, "Le Chorégraphique". In 1987, he created Le Mandarin Merveilleux for the Ballets de Monte-Carlo, which was a great success. He became the company's Artistic Advisor for the 1992-1993 season and was then appointed Director-Choreographer by H.R.H. the Princess of Hanover in September 1993. His arrival at the Ballets de Monte-Carlo set the company on a new path that quickly developed the level of maturity and excellence for which this company of 50 dancers has been renowned for 20 years. He has created almost 40 ballets for the company, some of which, such as 'VERS UN PAYS SAGE' (1995), 'ROMEO AND JULIET' (1996), 'CINDERELLA' (1999), 'THE SLEEPING BEAUTY' (2001), 'LE SONGE / A MIDSUMMER NIGHT'S DREAM' (2005), 'ALTRO CANTO' (2006), 'FAUST' (2007), 'LAC' (2011), 'CHORÉ' (2013), 'CASSE-NOISETTE COMPAGNIE' (2013) have forged the reputation of the Ballets de Monte-Carlo across the world. Several of these works are now included in the repertoires of major international ballet companies, such as the Grands Ballets Canadiens, the Royal Swedish Ballet, the Korean National Ballet, the Stuttgart Ballet, the Royal Danish Ballet, the Ballet du Grand Théâtre de Genève, the Pacific Northwest Ballet, the American Ballet Theatre and the Béjart Ballet Lausanne. In 2014, he creates La Mégère Apprivoisée for the Ballet of Bolshoi Theatre. 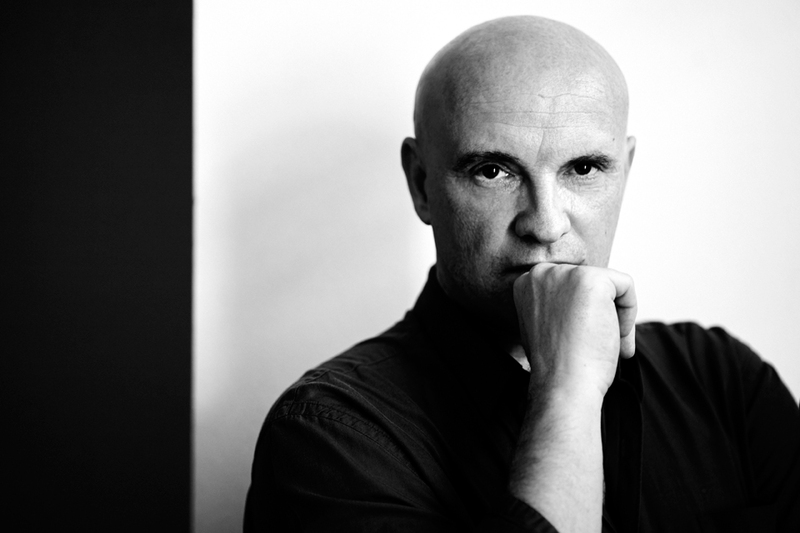 Also aware of the work of other artists, Jean-Christophe Maillot is known for his spirit of openness and his commitment to inviting choreographers with a different style to create for the company. In 2000, this same desire to present the choreographic art in all its many forms led him to create the Monaco Dance Forum, an international showcase for dance which presents an eclectic proliferation of shows, exhibitions, workshops and conferences. In 2007, he produced his first stage opera, Faust for the Hessisches Staatstheater and in 2009 Norma for the Monte-Carlo Opera. In 2007, he created his first choreographic film with Cinderella then Le Songe in 2008. In 2009, he developed the content and coordinated the Centenary of the Ballets Russes in Monaco, which would see over 50 companies and choreographers pass through the Principality in one year, providing entertainment for 60,000 audience members. In 2011, dance in Monaco underwent a major and historical change. Under the presidency of H.R.H. the Princess of Hanover, the Ballets de Monte-Carlo now incorporates the BALLETS DE MONTE-CARLO COMPANY, the MONACO DANCE FORUM and the PRINCESS GRACE ACADEMY under a single organisation. Jean-Christophe Maillot was appointed head of this organisation which now unites the excellence of an international company, the benefits of a multi-format festival and the potential of a high-level school. 1993 : Appointed Chevalier of the Ordre des Arts et des Lettres by The Minister of Culture Jack Lang. 1999 : Appointed Officier of l’Ordre du Mérite Culturel de la Principauté de Monaco by S.A.S. Rainier III. 2002 : Appointed Chevalier of the Légion d’Honneur by The president of the Republic Jacques Chirac. 2005 : Appointed Chevalier of the Ordre de Saint-Charles par S.A.S. Albert II de Monaco. 2014 : Appointed Commandeur of the Ordre du Mérite Culturel de la Principauté de Monaco by S.A.S Albert II de Monaco. 2015 : Appointed Commandeur of the Ordre des Arts et des Lettres by The Minister of Culture Fleur Pellerin. 2016 : Received the Médaille Pouchkine. 2001 : « Nijinsky » award of the Best production for La Belle. 2002 : « Danza & Danza » award of the Best performance for La Belle. 2008 : « Benois de la Danse » of the Best choreographer for Faust, awarded by Yuri Grigorovitch in Moscou. 2010 : « Premio Dansa Valencia 2010 ». 2015 : Golden Mask of the Best performance for La Mégère Apprivoisée. Thanks to this choreography, Ekaterina Krysanova received the Golden Mask of the Best dancer (in the role of Katharina) and Vladislav Lantratov received also the Golden Mask of the Best dancer (in the role of Petruchio). 2018 : Life Time Achievement Award of the Prix de Lausanne.